This downloadable teaching material is best suited for elementary school students at Elementary (A1) level. 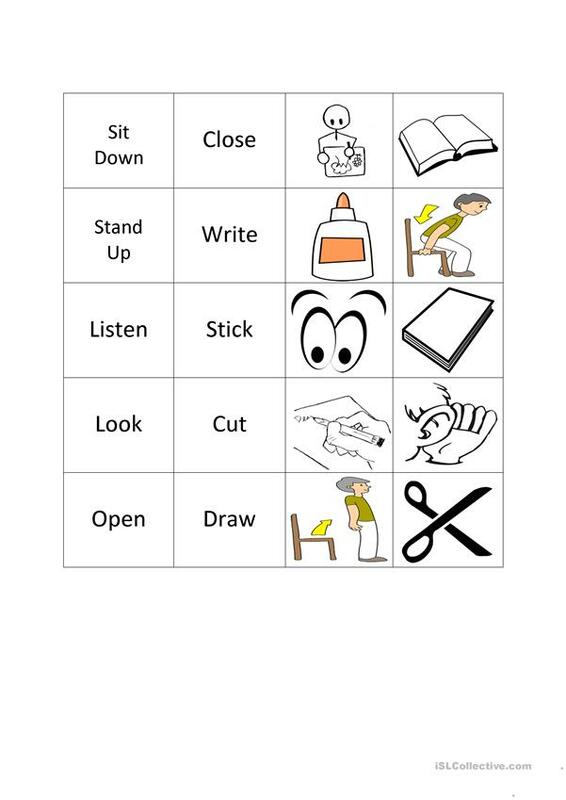 It is a useful material for revising Commands (imperatives) in English, and is a valuable material for strengthening your learners' Spelling, Speaking and Reading skills. It focuses on the theme of Classroom. aedwards37 is from/lives in United Kingdom and has been a member of iSLCollective since 2013-03-13 20:28:43. aedwards37 last logged in on 2013-03-20 20:26:28, and has shared 1 resources on iSLCollective so far.